You'll be £4.99 closer to your next £10.00 credit when you purchase Flying to Norway, Grounded in Burma. What's this? 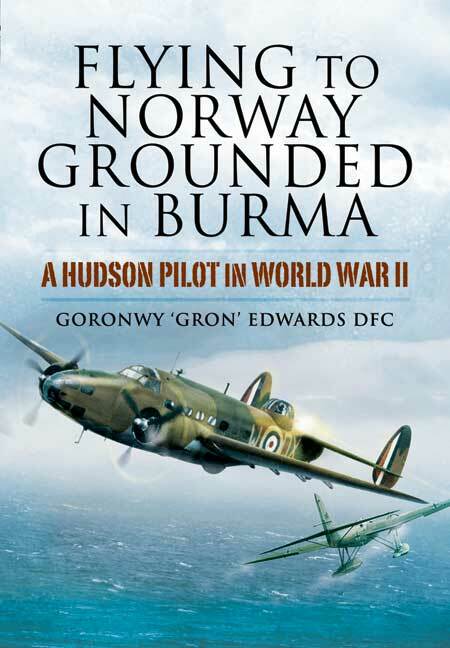 Gron' Edwards joined the RAF in 1936 on a Short Service Commission and went solo on his eighteenth birthday. After gaining his wings he joined No 233 General Reconnaissance Squadron of Coastal Command based at Thornaby in Yorkshire. The aircraft he flew was the Avro Anson, a small twin engine aircraft that was originally designed for civilian use but had been hastily modified with the addition of two machine guns and a 280 lb bomb load. Before the outbreak of war the squadron was moved to Leuchers. Early in 1939, Coastal Command crews were ordered to ferry some Blenheim twin-engined bombers to Middle East Command and Gron was selected as a navigator for the flight to Egypt. Upon landing in Egypt they found that they had set a record time of 33 hours, 3 hours less than Imperial Airways. 233 Squadron were re-equipped with the Lockheed Hudson, a larger aircraft that enabled reconnaissance patrols along the Norwegian coast. In April 1940, as they were approaching the Norwegian coast, Gron spotted a Heinkell 115. He attacked from astern and damaged the aircraft. Although very nearly flying into the sea. Patrols continued, searching for German capital ships hiding in the Fiords. During the first five months of the Norwegian campaign 233 Squadron suffered 35% casualties - even 50% on one shipping strike. Gron was awarded the DFC for his part in this operation. After becoming short-sighted and night-blind Gron was given a brief respite and then posted to the Navigational School at Cranage in Cheshire and a little later qualified as a Specialist Armament Officer. In September 1944 he sailed for Bombay and then travelled overland to Maniur, 500 miles north-east of Imphal. Gron took the job of Armament Officer of No 221 Group, a close-support fighter/bomber group of about 20 squadrons attached to the 14th Army. With the Japanese in retreat the group moved to Indianggye in Burma. Gron commanded the RAF advance party. During his service there he was Mentioned in Despatches.